Campaigners fighting against the controversial Spring bus proposals in Walsall and Sandwell have claimed a recent meeting with transport bosses was a 'complete waste of time'. 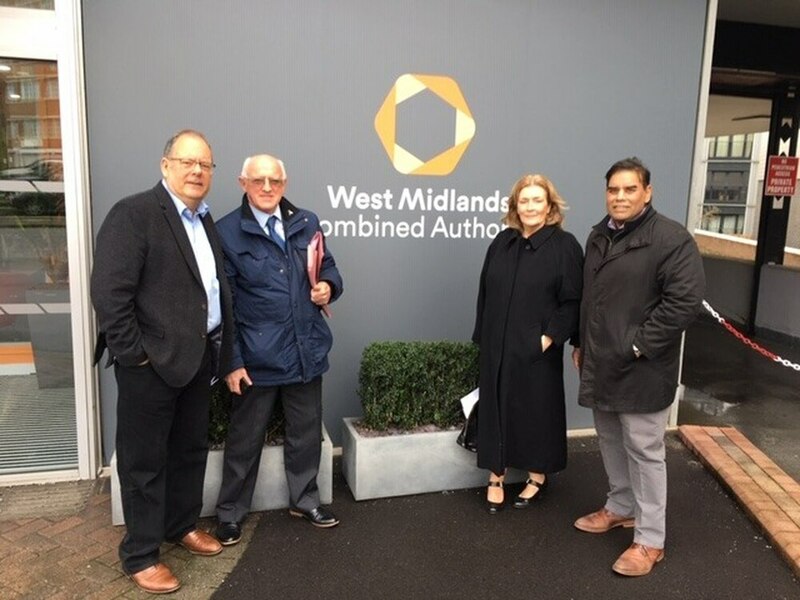 The A34 Safety Action Group met with leaders from Transport for West Midlands (TfWM) to discuss concerns about the project, but members said that the authority failed to answer any of its questions. However a spokesperson for the West Midlands Combined Authority has refuted the claims, saying many issues raised by the group were ‘sensible and constructive’. Last year plans were unveiled to construct a £110 million rapid bus network to improve public transport ahead of the Birmingham 2022 Commonwealth Games. The first route will run on the A34 from Walsall, through the Scott Arms junction at Great Barr, to Birmingham city centre. Original plans were for a slip road separating homes and businesses along the Walsall Road from the A34 to be removed, something the combined authority said it will re-examine following a public consultation last year. However, following the meeting to discuss residents’ concerns over the proposals, members of the A34 Safety Action Group say that they feel no progress has been made and that they are still not being listened to. “We’d been waiting a long time for this meeting, and we don’t really feel like much was achieved,” said Annette Pereira, head of the campaign group. “But our particular anger is really that they’re just giving us the runaround. They wanted our questions before the meeting took place – how many meetings do you go to where you have to give them the questions a month before? “I don’t know why they expect us to put in writing exactly what our concerns are, and yet they don’t even have the decency to give us the answers when we’re sitting across the table from them. “I mean particularly the BMTR (Birmingham Motor Tyre) guys, they’ve got a business to run, they might have to close it down if this ridiculous scheme goes ahead. “Nobody has been in touch with them since the last time we met, which was at the mayor’s meeting. I mean how bad is that for an authority? They just haven’t bothered to pick the phone up and contact the company in that way. One of the Action Group’s biggest criticisms of the Sprint bus scheme is that they feel a proper public consultation was never carried out – something which the combined authority strongly denies. And Annette believes that a new consultation needs to be carried out before the results can be deemed to be valid. “It’s not just a few of us that are angry, it’s so many people,” she said. “They haven’t done a proper consultation – as far as I’m concerned, the actual consultation started with this meeting when, for the first time, key people were around the table. “The consultation is not valid, and yet they still keep referring to it as ‘our consultation’. We don’t recognise it, and we want them to, quite frankly, start it again. “Before this meeting I thought we were getting somewhere. But I think the authorities are just using delaying tactics trying to put us off as long as possible. “It’s just so unfair, for them to waste our time like that. “I mean it’s absolutely ludicrous. We’re all giving up our time, and it’s taken a lot of energy and time to fight this, but it’s just a farce. They seem to think it’s a done deal – well, as far as we’re concerned, it’s far from a done deal." A Transport for West Midlands spokesman said: “Each individual resident and member of the A34 Safety Action Group who attended the meeting was given the opportunity to speak and be heard. They aired their concerns and made suggestions, many of which were sensible and constructive. “We have listened and will take them away and carefully consider them as we continue to review and refine the designs for the A34 Sprint. We are in particular looking at ways to address their concerns around the parking.